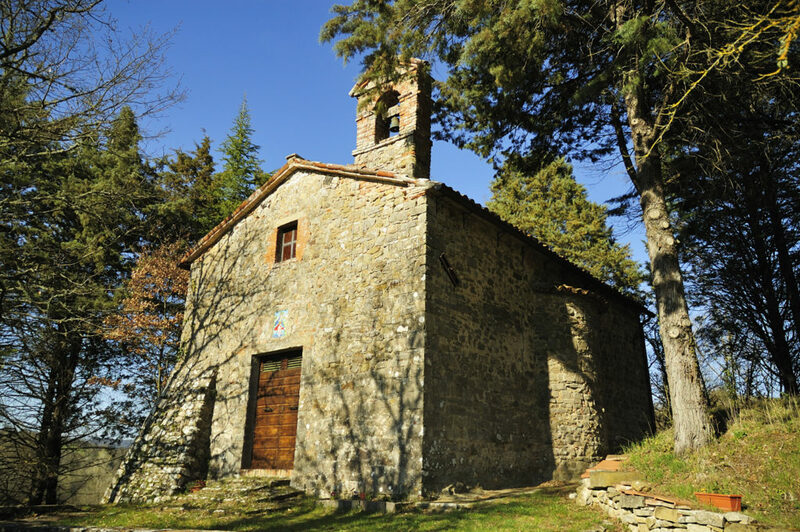 On the plain of the river Fersinone stands the small church devoted to the “Madonna del Piano” (Our Lady of the Meadows). 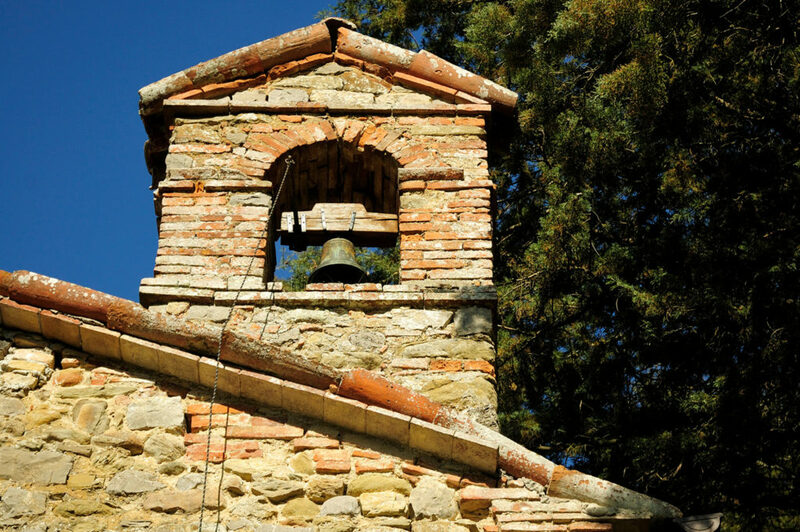 The building has a sail bell tower and is built entirely of stone, with material from the nearby river. 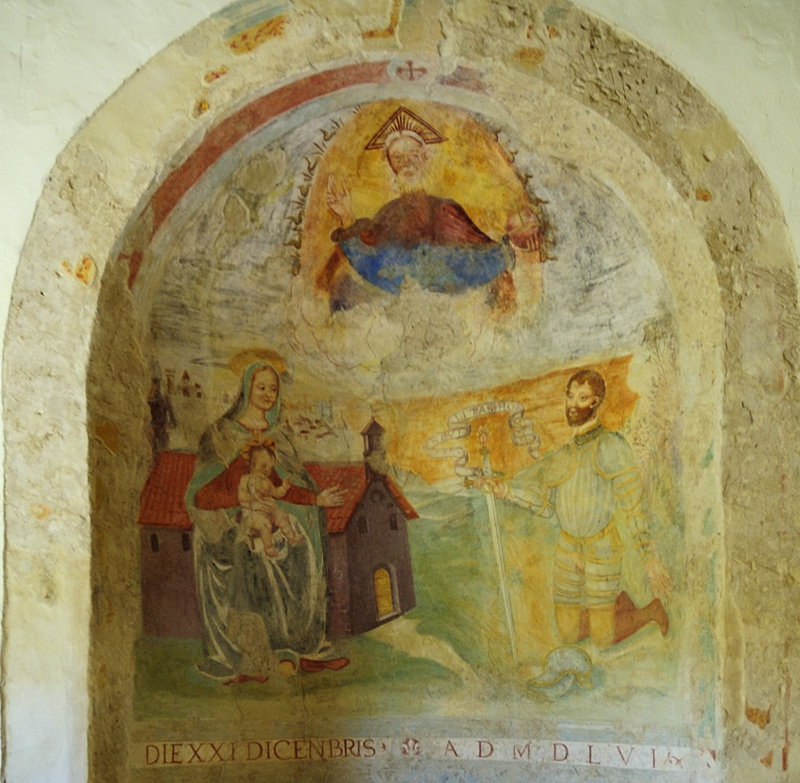 The Latin cross layout with three apses and a central altar is an element of absolute particularity for a country church. 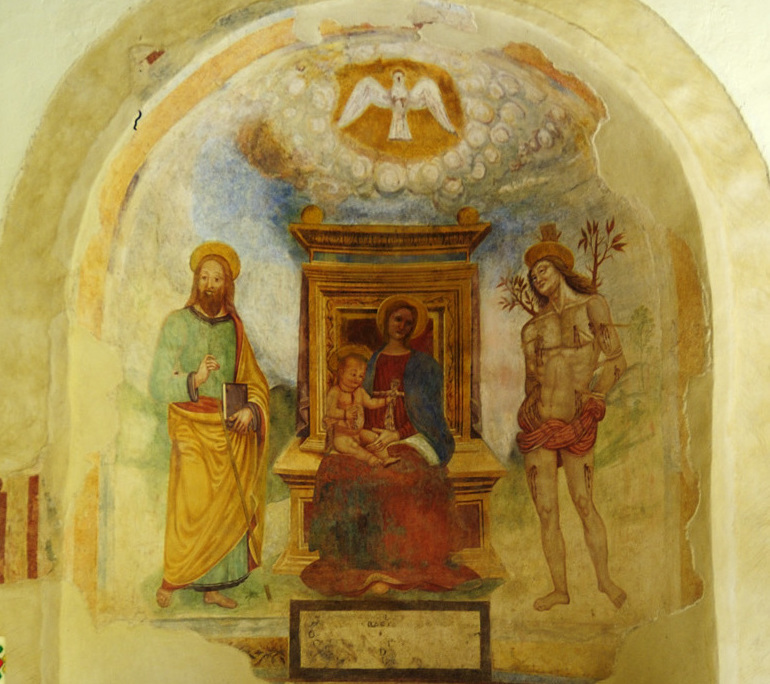 In 2002 the small community of Pornello has undertaken a restoration work to safeguard its beautiful frescoes, which date back to the 1500s and decorate the lateral apses. 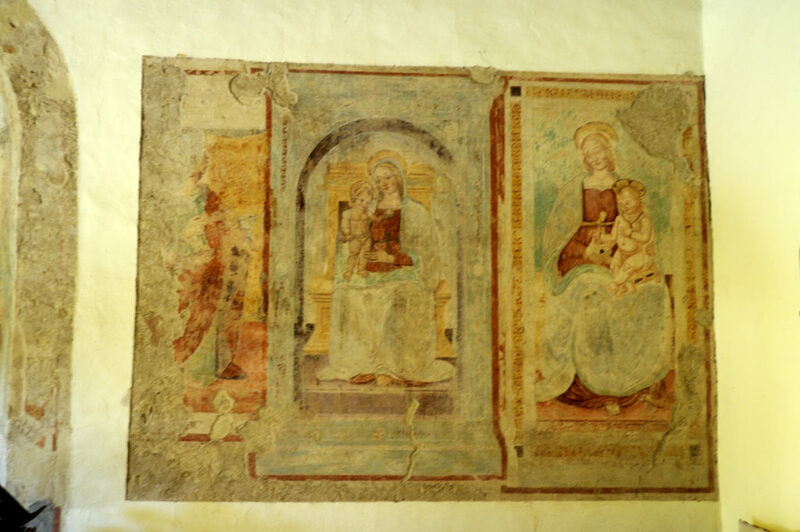 In the course of the works, two valuable paintings depicting the Virgin and Child emerged on the left wall, certainly antecedent to the 16th century. After a period of carelessness, in 1954 the church was re-opened to worship thanks to the intervention of Don Renato Romoli. 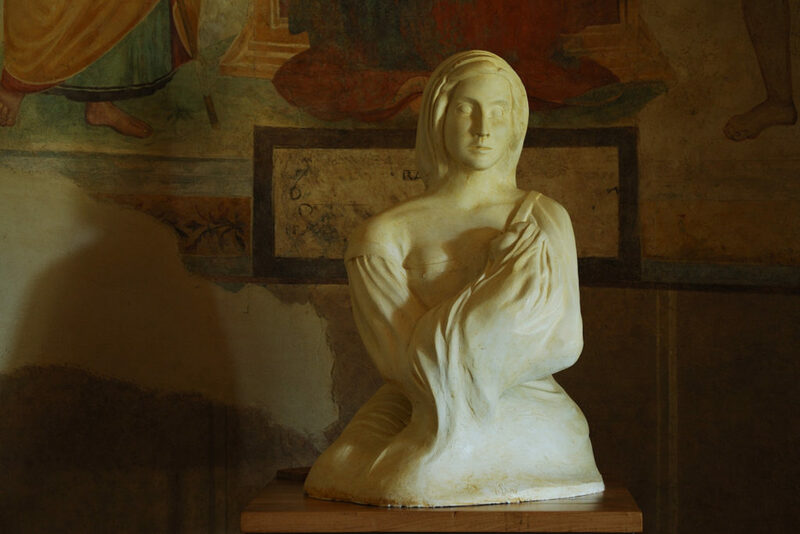 In June 2014, the church has been enriched by a beautiful sculpture of the Madonna and Child by the artist Simona Innocenzi. Currently, a Feast is celebrated every year on the 2nd Sunday of September.